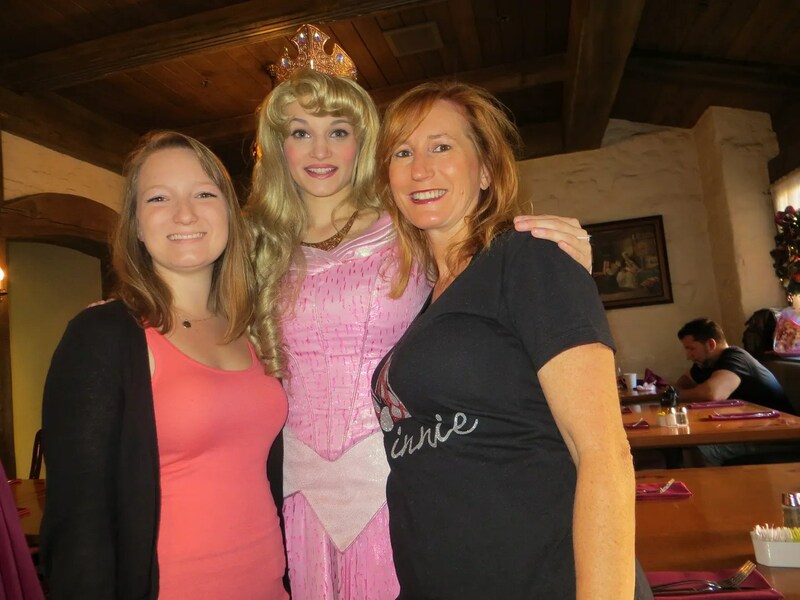 We began by having our (included in the price of the meal) photo taken with Belle. Since there were 4 of us (which I think is the cutoff to determine whether you get more than one photo package for your group) we received only one package of this photo. This included one 6″ x 8″ and I think four 4″ x 6″ photos, which we divvied up between us. 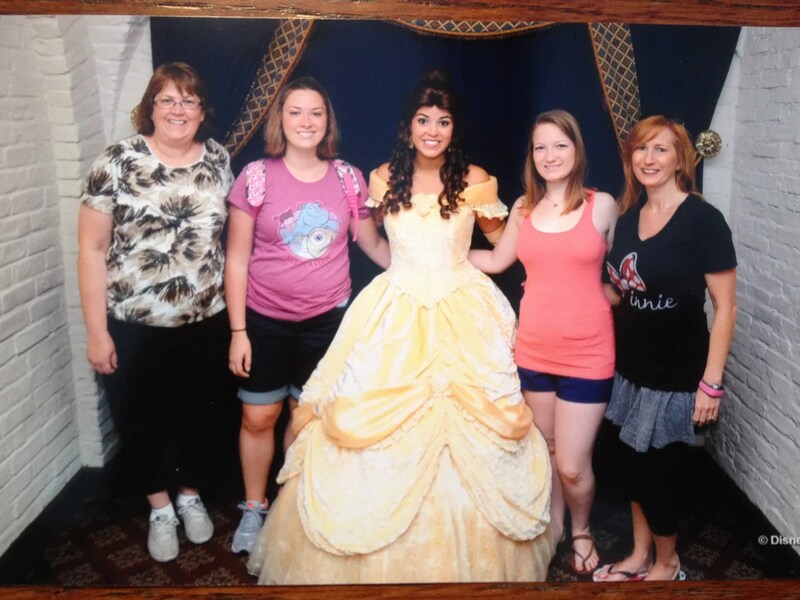 Anyway, it was very nice to see Belle out of her apron and looking more princess-like in her beautiful golden yellow ball gown. 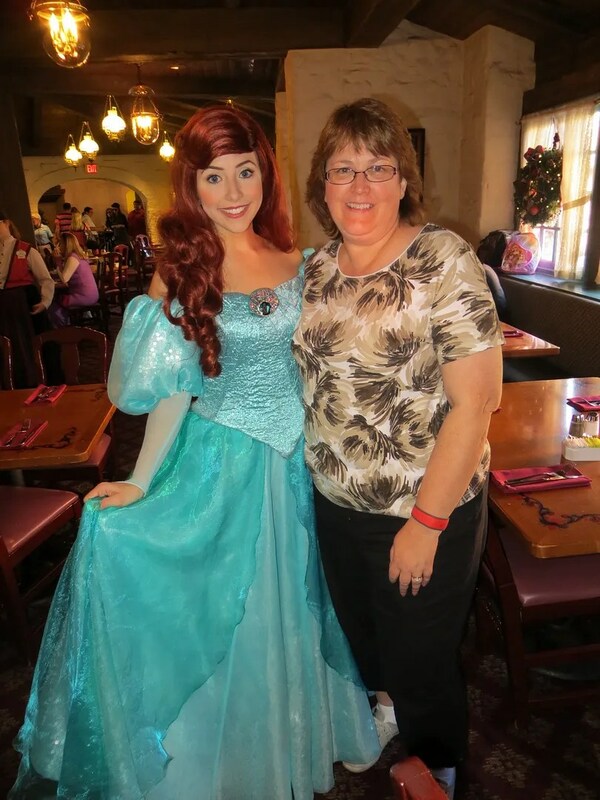 I hadn’t been inside this castle for many years, since prior to it converting to a character dining venue. So when I entered the dining room, it was like I was doing so for the first time. This looked very much like what I would imagine a centuries old Scandinavian castle would, with white stone walls, high beamed ceilings, leaded-glass windows, and beautiful pointed archways. I would give Disney an “A” for theming on this one. 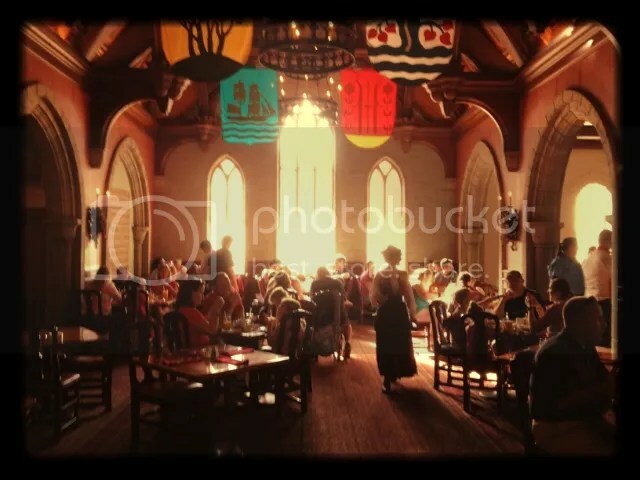 Unfortunately, we were not seated in the beautiful main dining area. 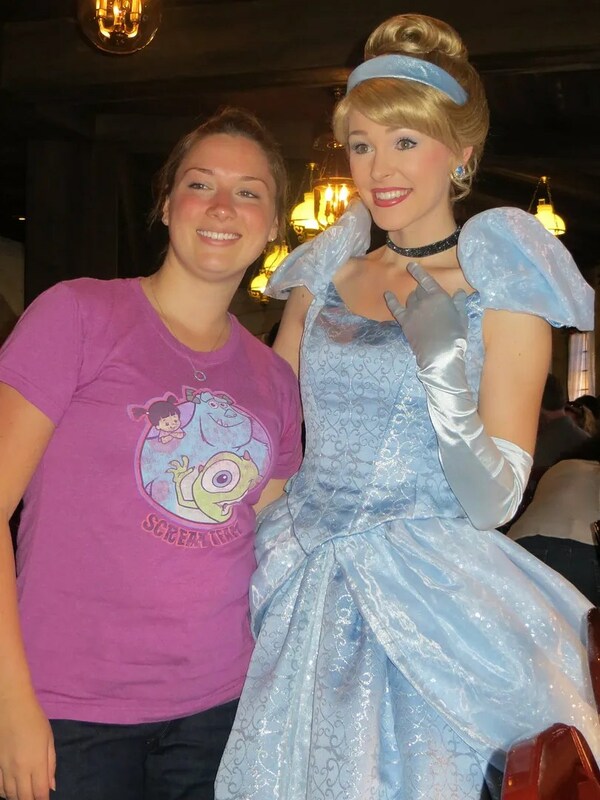 Instead we were seated in the corner of a small room that seemed more like a hallway to the princess’ break room. Now on to the food. 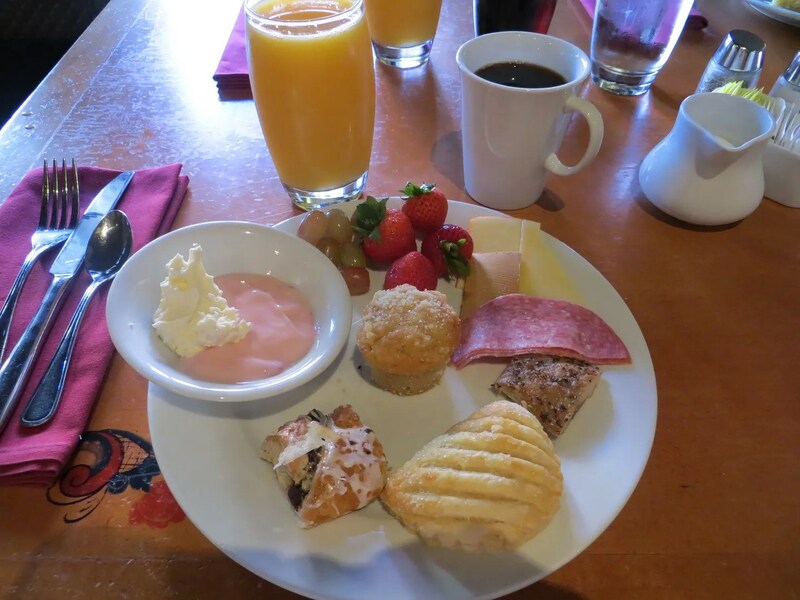 We started with the cold buffet which had a lot of options ranging from deli meats, fish selections, fresh fruit, danishes and pastries, yogurt and granola. I didn’t make any notes regarding my choices here, but I think they included muenster and gjetost (the brown one) cheeses, salami, smoked salmon, apple?? 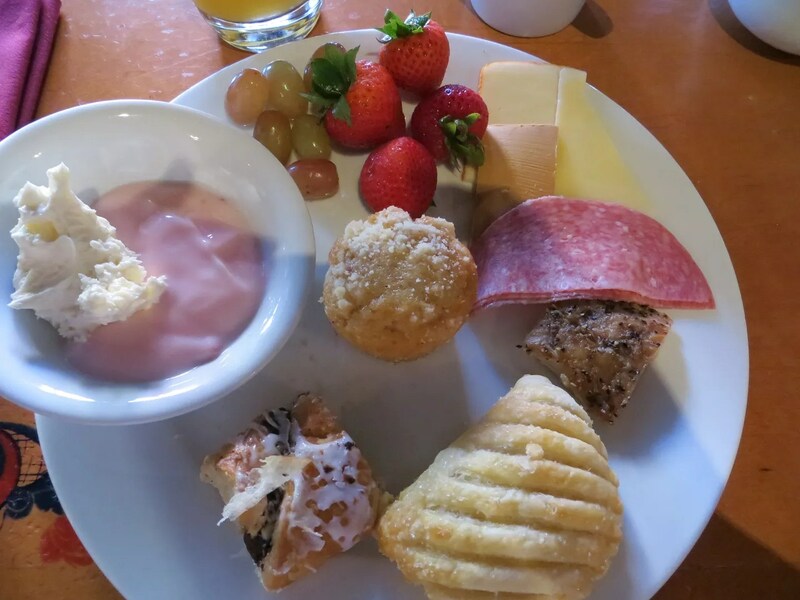 turnover, danish, lingonberry muffin, and grapes and strawberries…which were especially delicious when dipped in the yogurt. 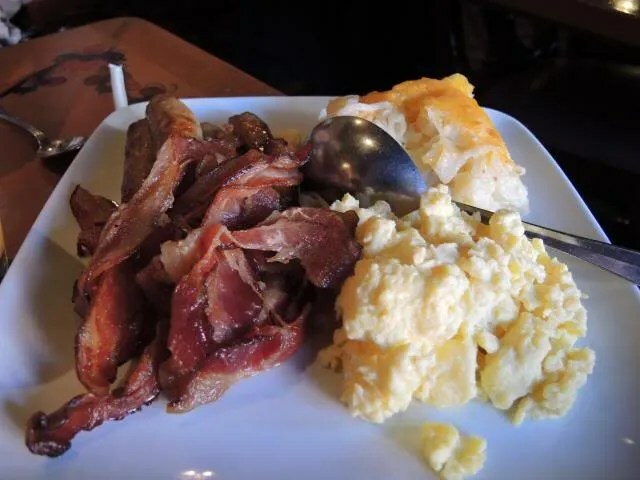 This included scrambled eggs, cheesy potatoes, bacon, and sausage…all you can eat. I tried a little of everything and thought it was all very good. I was especially happy to finally get to try the famous cheesy potatoes. They were delicious! I’m pretty sure we requested seconds of the potatoes, since we all loved them. 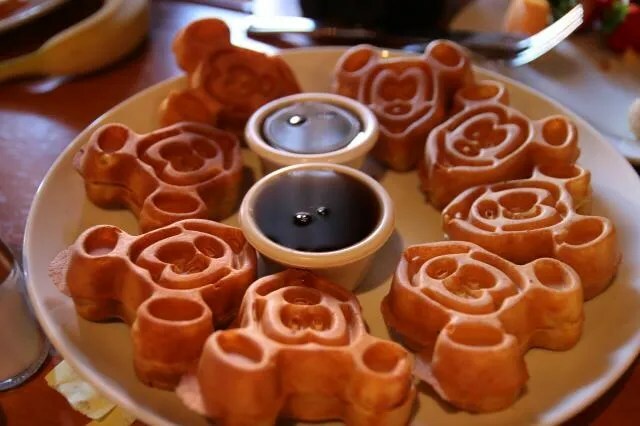 Brenda also knew to request some Mickey waffles, so I got to have these for a second time this trip. Thanks Brenda! The one thing which might deter me from returning to Akershus is the cost. 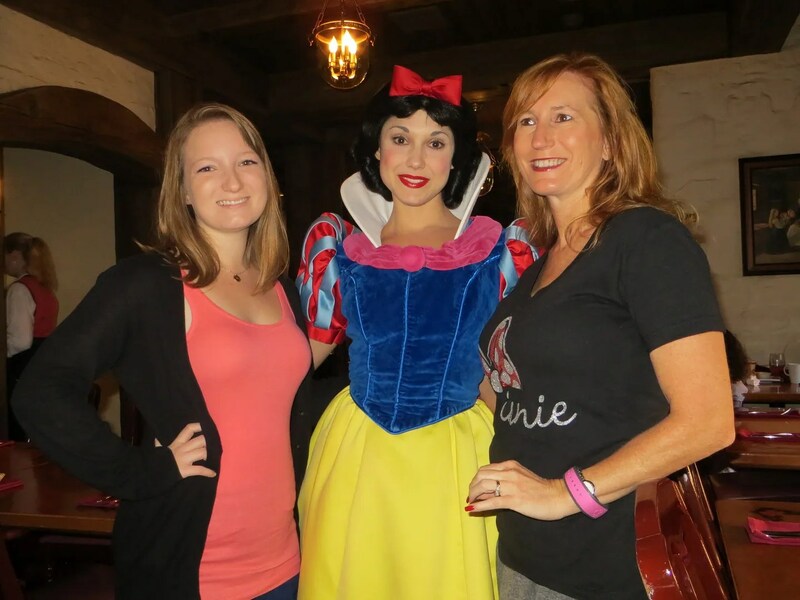 While not as expensive as having breakfast at Cinderella’s castle, at a cost of $43.99 it was still $15 – $20 more than our breakfast at Crystal Palace. 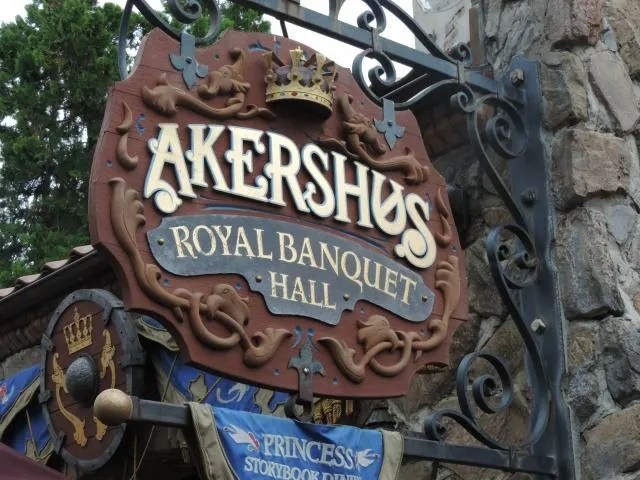 [I can’t find my CP receipt for an exact comparison] Now I know that the Akershus price includes a photo package, but frankly I would rather have my $15+ and have the photos be an optional purchase (as it is at other character meals). So with the food being pretty much equally good, and having no real preference regarding the characters, I would have to say that Crystal Palace came out on top for me. 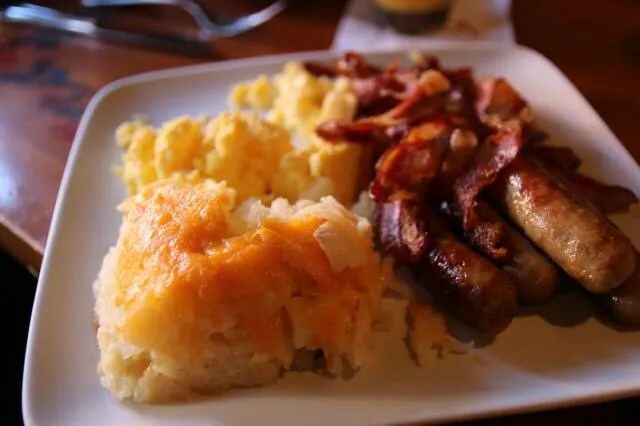 However, on my next trip I think I will be trying the character breakfast at Cape May, so we will see how it compares to the others. I haven’t been to Cape May for more than 10 years, so it will again be like a whole new experience for me.